Youtube gets 30 million visits per day. Half of them are made by people of the age 25-44. It is late at night. The only light source in the room is the TV-screen. One clicks the remote control buttons and suddenly… Do not hurry to stop reading – this story will not turn out to be a thriller or horror. Everything is simpler. It is a story about a person who cannot find something good on TV before going to sleep and decides to head to Youtube. Sometimes it takes only one single video to go down a rabbit hole and become a guest of the Wonderland. It is completely possible to compare Youtube to this fictional place. For the reason that it has already managed to become the largest video-sharing platform in the world. In addition to this, its popularity only grows. More and more people share their tutorials, reviews, podcasts, short movies, and other videos on Youtube. Every single viewer can find something that he or she is interested in. Aliens, literature, fails, cats, mystery – actually, the list of video topics is endless which means that you can pass the time by learning and entertaining yourself at the same time. You might have heard about people who earn money using Youtube. If you find yourself thinking that you can also create your channel and start making money, it is absolutely possible to make your dream come true. Not only lovely cats get millions of views. People do not get past videos that can impress them with their high-quality content. In this case, you can just opt for a passive way of earning money. In other words, you just allow Youtube showing various ads during your videos and get your payment. To be honest, it sounds more than simple and tempting. Yet, there are always more ways that you can pay your attention to. What About Settling on Youtube by Means of the TemplateMonster Affiliate Program? It is absolutely possible that you have heard about affiliate marketing earlier. If you have not tried this method yet, TemplateMonster affiliate program can encourage you to take thought. TemplateMonster provides its customers with first-class design resources for multiple purposes. There are 26,000+ items that one can find on the website. Everyone has a chance to join its affiliate program. Unlike other affiliate programs, TemplateMonster does not ask users to go through a boring approval procedure. The registration process does not consist of some obscure steps. You just need to enter your email address – and everything is done. As you can understand, web-designers from various corners of the world have the opportunity to sell WordPress themes, Joomla themes, HTML5 templates, WooCommerce themes, OpenCart themes, PrestaShop themes, Magento themes, Shopify themes, and many other digital products on this marketplace. Each affiliate gets everything he or she needs to create an efficient online-promotion. When you become an affiliate, your commission starts from 30%. It is possible to end up with 50%. If you make lots of sales, your commission is going to grow. What does differ TemplateMonster Affiliate Program from others? You will be paid for each sale. Moreover, there are dozens of necessary tools that will make your affiliate campaign better. Among them, you can find WordPress plugins, showcases, banners, landing pages, and so on and so forth. The minimum payout is $100. Now, let us make some easy calculations. The average price of the ready-made template presented on the TemplateMonster Marketplace is $90. It is possible to get $27-$45 per sale. As you can see, it will be not difficult to reach $100 and get them through a payment method you prefer. You can choose from PayPal, Webmoney, Payoneer etc. First of all, you can review different items presented on the TemplateMonster Marketplace. Just choose any digital product that hit you off immediately. Tell your subscribers about its pros and cons, main features, and other characteristics that you consider to be the most important ones. As an example, you can take a glance at the exciting video by WPTuts that describes Elementor custom header made by JetBlocks. You are not going to face any troubles. Just be honest and share your own thoughts about the most well-favored ready-made solution, plugin or other product. One of the easiest ways to make money together with TemplateMonster Affiliate Program and Youtube is to mention this very marketplace in your video. There is nothing special or complicated in terms of this method. You just need to tell your subscribers about TemplateMonster, its assortments of digital products, and some benefits. 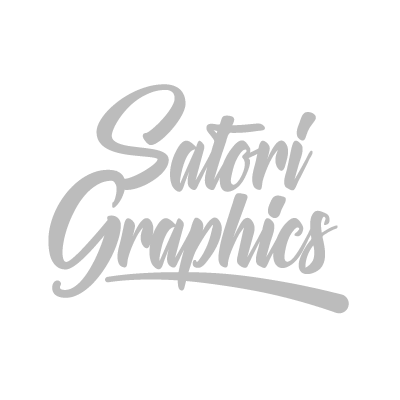 For example, Satori Graphics have chosen this very way to make money. 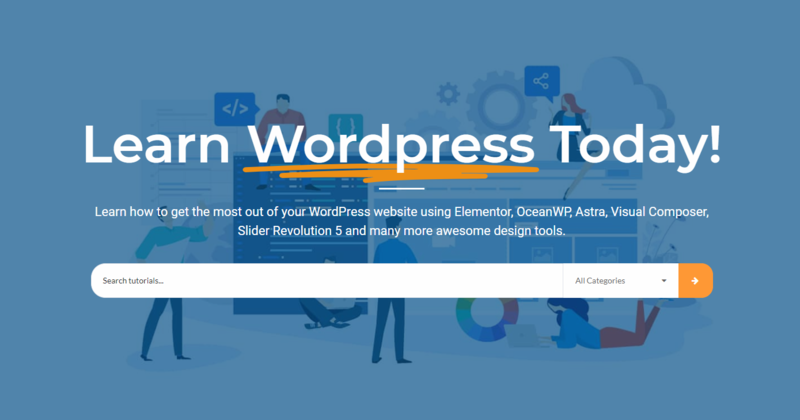 He just mentioned TemplateMonster at the beginning of his video and told people that they could find here different ready-made solutions, including themes, templates, plugins, and even graphics. The following way to earn money thanks to Youtube and TemplateMonster Affiliate Program requires some efforts. For the reason that you need to make a tutorial using one of the TemplateMonster’s products. You can choose any items your soul wants and tell your subscribers how to work with it. As you can see, Creativ Brian has decided to explain how to make a website for photographers, artists, and freelancers in his video. He just chose Monstroid2 as an example and told people how they can launch their own online-project using WordPress. One more way that makes it possible to earn money on Youtube is to create a comparison video. In this case, the explanations are not so necessary. For the reason that you just need to compare a few digital items with each other in order to help people choose the best one. On the channel Freedom to Seek, you can look through a short video in which he compares Divi, Avada, and Monstroid2. It runs through the basics which allow viewers to find out all necessary details about the products in a short time. In general, you can find various YouTube affiliate videos that feature showcases of different types and categories. You can always download a looped video or record your own sound. Keep in mind that it is possible to get in touch with Max Carroll (our Youtube manager) who can help you to choose the best ready-made solutions for your reviews, tutorials, and comparison videos. There is no need to say that Youtube will only continue to develop. Do you think that there is no place for you on this video-sharing platform? Throw away all your doubts and remember one single thing. The affiliate niche is not so competitive as it may seem. In addition to this, it does not feel like a burden – you will definitely get a chance to express all your thoughts and derive pleasure from the process of creation. For this reason, join our affiliate program here and now. It will provide you with multiple ways to earn money without making lots of efforts. What is more important, each affiliate is able to ask his or her personal manager all the necessary questions. Do you need a piece of advice on the choice of the product? Do you want to find out more about promotion? Feel free to communicate with your affiliate manager and make sure you have done everything right. Are you ready to become a part of our affiliate program? We have been waiting for you for so long! If you have some questions, get in touch with Max Carroll via Facebook, Skype: Max Carroll, or email.